For all wild life lovers, I’d like to recommend the new book,” My Encounter with the BIG CAT and Other Adventures in Ranthambhore” by Daulat Singh Shaktawat, who has served for more than 37 years in the wildlife wing of the Forest Department of Rajasthan. 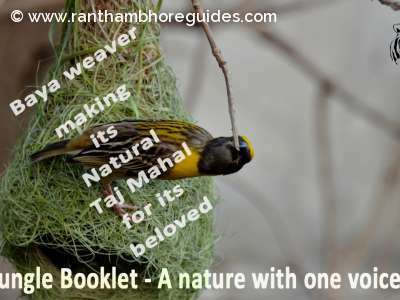 The dedicated officer and a passionate wildlife, he has contributed immensely towards the conservation of habitat and wild species during his tenures at the Keoladeo National Park, Sariska Tiger Reserve and the Ranthambhore Tiger Reserve. 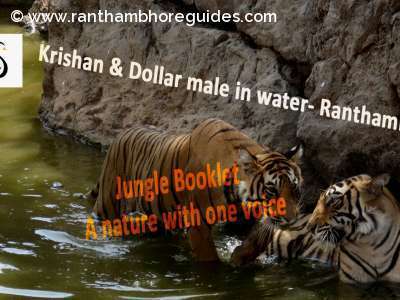 Through this book, you’ll be able to know the dramatic encounter with a belligerent tigers; a near-death experience; hunting for missing tigers; a mystifying leopard who attacks humans at will with no fear; tracking and monitoring tigers and the fascinating story of an aggressive male tiger. “As we were in the process of doing so, I got message from The Assistant Conservator of Forests (ACF), Sr Yadav, that the crowd one the other side was creating a Riot. They were threatening the police force that if the tiger was not captured or killed immediately, they would forcefully grab their guns and KILL the tiger themselves. I was advised to reach the spot immediately with my team and somehow go ahead with the operation. ………………..
My years of experiences told me that the tiger could not be traquillised in this situation as he was not even visible among the dense crop…………. We waited to get a glimpse of him moving away. Suddenly, we heard a roar from very near. Before I could react, I saw the tiger emerging from dense cover in front of me, barely eight to ten feet away. He was snarling and appeared extremely aggressive. I had the tranquillising gun in my right hand but, before I could think of doing anything, the tiger had already pounced on me. Its my one of the favourite book! I hope everybody like it.